One-hour SoCal Hockey Talk to air live on The Mighty 1090 every Tuesday from 7-8 p.m.
SAN DIEGO – The San Diego Gulls announced today that the American Hockey League (AHL) club and its flagship radio partner The Mighty 1090 will launch SoCal Hockey Talk, a weekly 60-minute hockey radio show airing each Tuesday from 7-8 p.m. The inaugural SoCal Hockey Talk will begin on Tuesday, Apr. 2 live at 7 p.m. on The Mighty 1090 and feature Hockey Hall of Famers Wayne Gretzky and Willie O’Ree as the show’s first guests. Gretzky played eight season with the Los Angeles Kings from 1988-95 as part of a 21-season National Hockey League (NHL) career from 1979-1999. Gretzky owns numerous NHL records, including all-time points (2,857), goals (894) and assists (1,963), in addition to the single-season records in all three categories. O’Ree was inducted to the Hockey Hall of Fame in November 2018, after he made hockey history on Jan. 18, 1958 when he became the first black player to play a NHL game with the Boston Bruins. O’Ree also played seven seasons with the San Diego Gulls of the Western Hockey League from 1967-1974. Co-hosted by Gulls play-by-play announcer Andy Zilch and The Mighty 1090 on-air host Jordan Carruth, SoCal Hockey Talk is dedicated to the sport of hockey, with a strategic focus on the hockey landscape in Southern California. The show will also highlight the impact of the various hockey organizations and their players have had on the region, with an added focus on both the Gulls and Anaheim Ducks organizations. The 60-minute show will feature insightful commentary about the NHL and AHL, San Diego Gulls, Anaheim Ducks, interviews with current and former players and coaches with ties to Southern California, hockey executives, hockey insiders and opportunities for callers to share their opinions. Fans can listen live at The Mighty 1090-AM or Mighty1090.com. 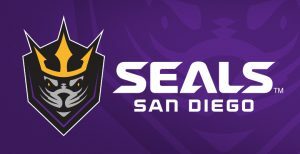 For more information, visit SanDiegoGulls.com/SoCalHockeyTalk. The Mighty 1090 is San Diego’s Sports Leader. 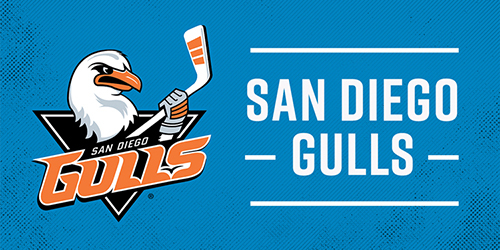 Delivering live and local sports coverage all across Southern California from San Diego to Los Angeles, The Mighty 1090 was founded in 2003 and is the home of San Diego Gulls hockey, the Los Angeles Rams and University of San Diego Toreros. Visit Mighty1090.com to listen live or find out what you missed in an extensive podcast library of content.